reduce emotional stressors reduce physical pain support the immune system. The entire session uses the highest quality essential oils in the world. What to Expect: Your AromaTouch session begins with the AromaTouch Technique™ as developed by Dr. David K Hill., a leading expert in integrative medicine and therapeutic applications of essential oils. The AromaTouch Technique focuses on balancing the sympathetic and parasympathetic nervous systems of the body by applying essential oils along energy meridians and contact points of the back and feet that relate to key organs and body systems. Your Jesse James Body Wellness therapist will use a gentle approach and application of essential oils that results in an unparalleled grounding experience. With this new state of deep relaxation and heightened immune response, the therapist will continue working to open and relax muscle tissue and assist the body to further unwind. You will leave this session deeply relaxed, emotionally grounded and physically renewed. Because essential oils contain many physical and emotional healing properties, each oil used in the AromaTouch session has been selected specifically for its individual therapeutic benefit and aroma. Benefits of AromaTouch: During the session, we will focus on calming the physical and emotional stressors that allow the body to relax, balance itself, and heal. But the therapeutic benefits of the session will last far beyond the time you are receiving the work. You’ll also enjoy the pleasant aromas of these oils on your body for hours afterward. The techniques we use in AromaTouch are designed to holistically address four key areas: Stress Management – to balance and calm Immune Support – to cleanse and strengthen Inflammation & Pain Reduction – to stimulate and soothe Homeostasis – to invigorate and center Balance – for a woman’s monthly cycle Therapeutic Use of Essential Oils: Essential oils are a “live” essence of plant-based extracts distilled from the flowers, seeds, leaves, roots, resin and grasses found all over the world. They have been used for thousands of years by many cultures and represent a more natural approach to healing and prevention. It has proven results in helping those with multiple sclerosis, rheumatoid arthritis, muscular dystrophy, sports injures, headache and stress related maladies. Today, the global scientific community conducts continuous research on essential oils with extensive published results being readily available to all via the internet and pubmed.org. Tapping these scientific findings combined with the experiences of essential oil users all over the world, we know that essential oils have immediate and lasting effect on the body. AromaTouch is a powerful therapeutic massage technique to include in your approach to health and wellbeing at Balance to relax the body, mind and spirit. Why Essential Oils? Our bodies absorb essential oils within minutes through our skin and olfactory system to create a therapeutic effect. 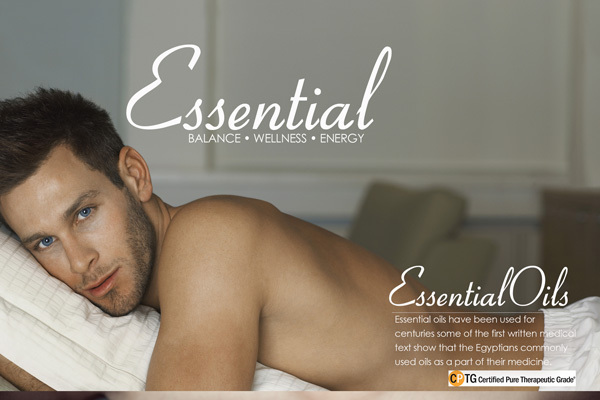 It is therefore critical to us to provide you with the safest, most pure essential oils available in the market today. Each batch of essential oils are tested in independent laboratories each time, using Gas Chromatography and Mass Spectrometry. This GCMS testing insures that only those constituents that belong in the oil are present, and that no synthetic compounds or contaminants were added or collected to make the oil. Your health and wellbeing deserve the best available. AromaTouch uses these oils: Basil, Blue Chamomile, Blue Tansy, Camphor, Cinnamon, Clove, Cypress, Eucalyptus, Frankincense, Grapefruit, Helichrysum, Laurel Leaf, Lavender, Lemon, Melaleuca, Myrrh, Osmanthus, Peppermint, Ravensara, Rosemary, Rosewood, Spruce, Wild Orange and Wintergreen. Precautions: To receive an AromaToucharo session requires that you lie on your stomach for more than 30 minutes. It is therefore not appropriate for pregnant women or those who require a side- lying posture to receive massage. If you have known sensitivities to plants or aroma-this is not a massage for you. Note: Essential oils are also available for purchase, please ask your therapist. You can order directly by clicking here and begin using your favorite oils within a couple of days. For more information or to request an appointment, please call us at 602-573-1309 to speak with one of our Wellness Experts.